​Transformation and reuse of vacant inner-city properties is among the many projects of the Ecklin Development Group. To sustain commercial development, renovation costs must be in line with projected return on investment. To manage this, we standardize selection of fixtures, construction methods, and finishes that are used throughout. This saves both design and construction costs and allows us to focus on maximizing the impact of the existing, unique features of each building. 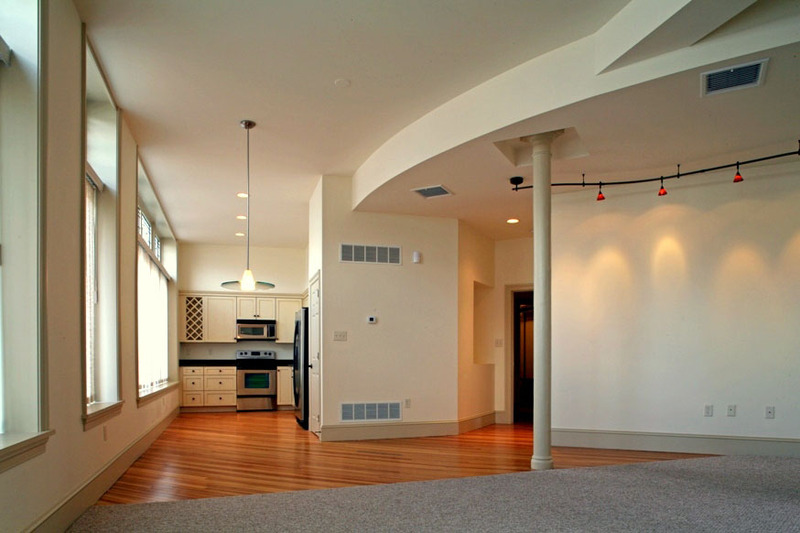 "Hammel Associates has provided exceptional interior design services for us since 1991. They’ve worked with us at our residence, in residential investment properties and for commercial interiors. The designs are inventive and the feedback is always positive." The staircase in this two-story loft apartment adds rich tones and classic textures to the interior of this historic building that's been transformed into contemporary space. The neutral color scheme gives tenants the flexibility to create a decor that suits their personality and tastes. 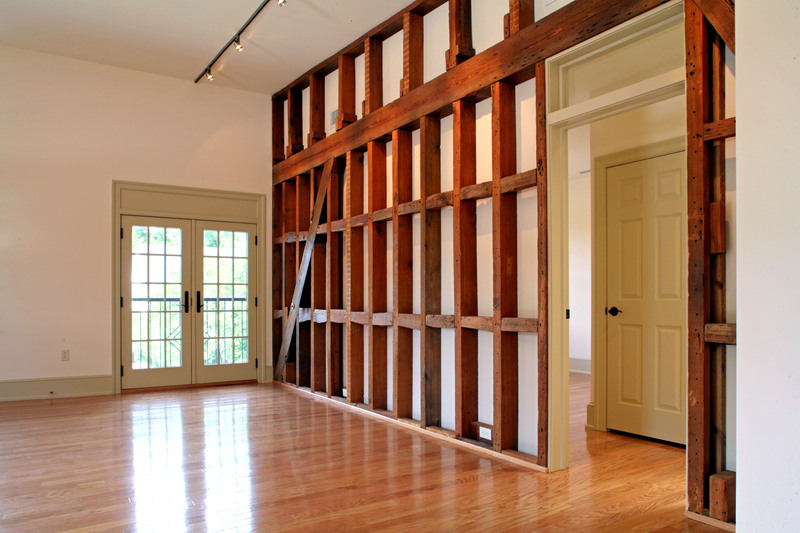 The exposed, refinished historic wood-framed wall adds richness to the interior of the second story loft. Adjustable ceiling lights can be positioned to provide spot lighting as desired when the final furniture arrangement is complete. 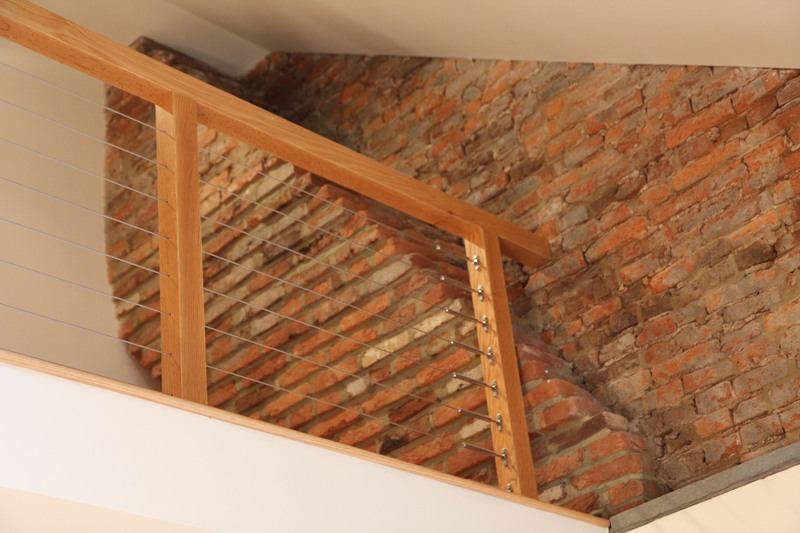 Exposed brick is one of the most desirable features in historic reuse buildings. It adds warmth and texture that complements the spacious, contemporary floor plan. 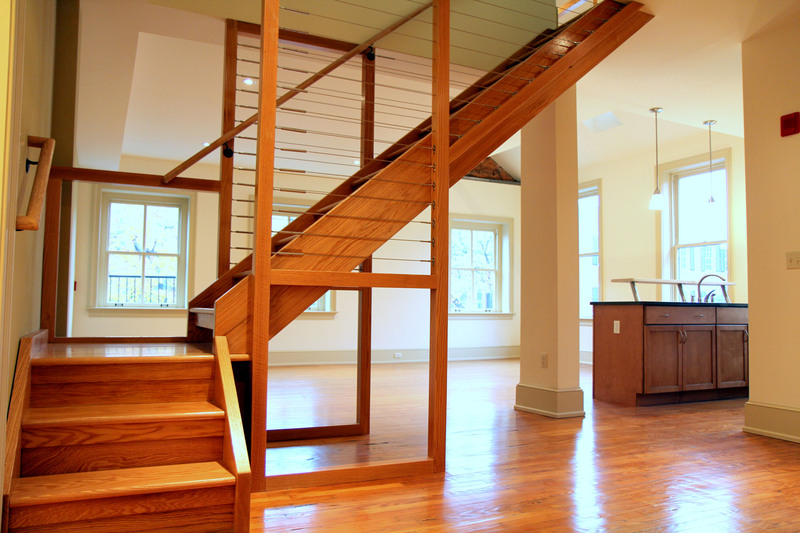 Steel cabling in the upper stair rail meets required safety codes without obstructing the spacious, open quality of the space. 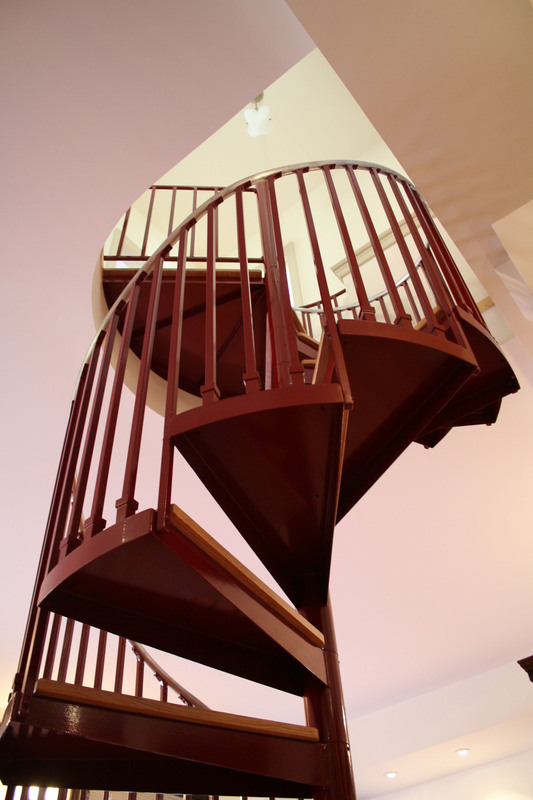 A spiral staircase is architecturally dynamic and functional in a smaller apartment space. It adds warmth and charm to the room while maintaining the maximum amount of space in the open living area.